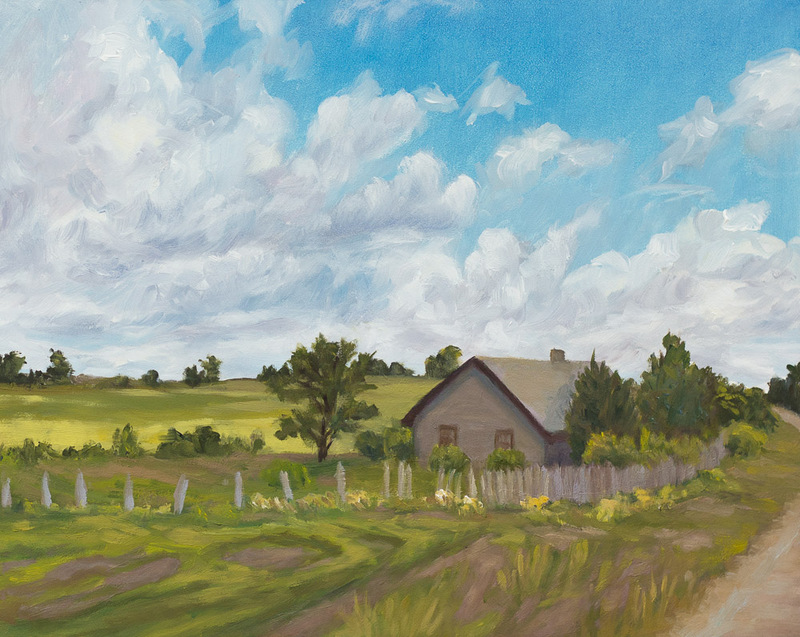 Doing a Virtual Paintout seemed like a good warm up for the plein air painting season. 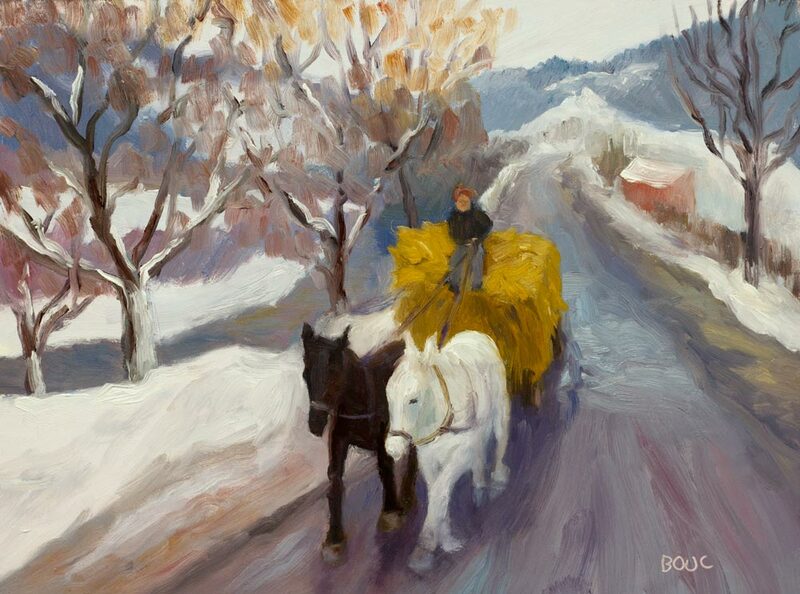 March’s Virtual Paintout location is Vilnius, Lithuania. 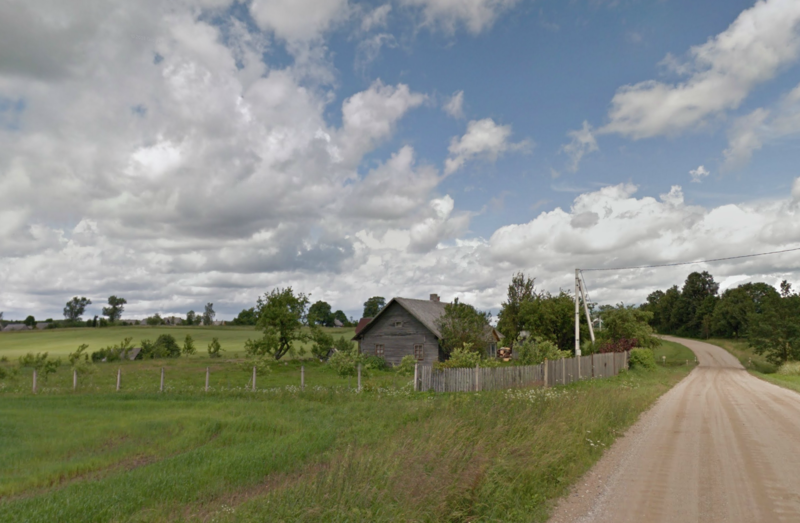 It was fun using Google Street View to cruise around Lithuania, where some of my ancestors are from. I started with a watercolor sketch in my giant Moleskine A4 watercolor notebook (which is proving too large to be practical to carry with me all the time but is great for a studio journal). 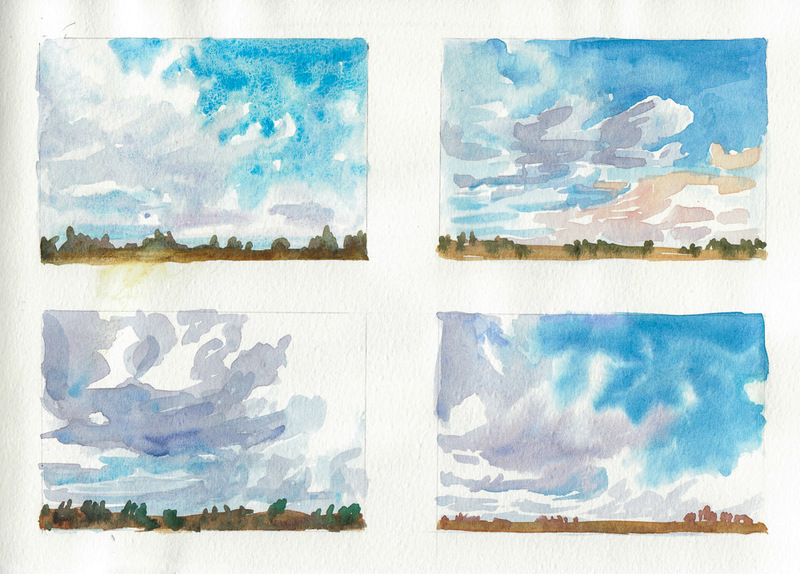 I had trouble with the sky and clouds so did some cloud studies (below). When I paint in watercolor I prefer juicy, wet washes but they don’t work well in sketchbooks; the paper buckles, the water pools, and I can’t get the results I want. I need to start working on real watercolor paper again or use much less fluid on my brush. I used some no-longer-available, very sedimentary Manganese blue in the top left sky above. I was really sad when they stopped making it as it was my favorite color, but apparently it was highly toxic for the miners. 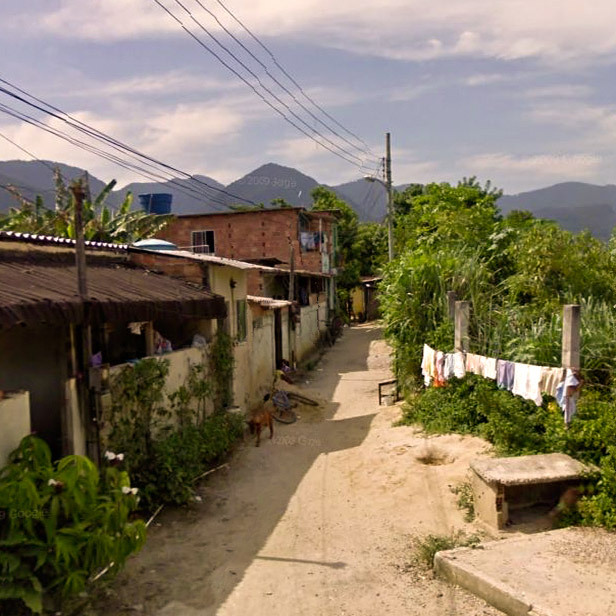 Above is a cropped version of the original Google Street View scene. 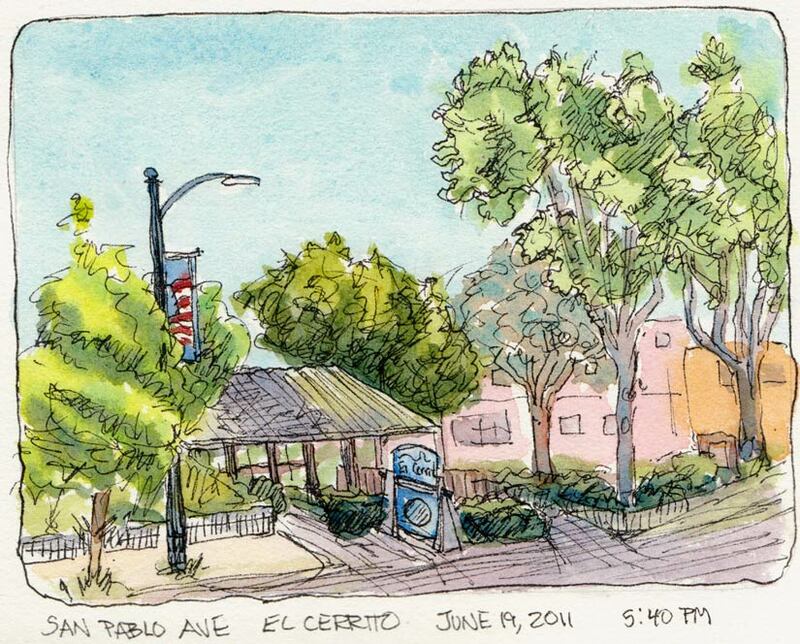 View north from Peet's Coffee, El Cerrito, ink & watercolor, 7x5"
At first glance, the corner of San Pablo Avenue and Carlson in El Cerrito is boring, boring, boring: a wide busy avenue with boxy buildings. 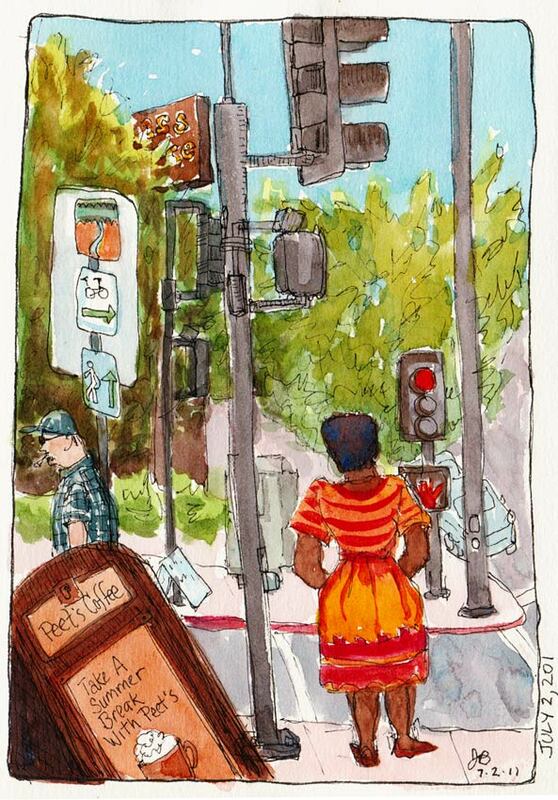 But when viewed on a lovely summer day from a cafe table outside Peet’s Coffee with pen in hand, it transforms itself into a sketching delight full of fun details and color. View South down San Pablo Ave. Wells Fargo, El Cerrito, ink & watercolor, 5x7"
Looking the other way down San Pablo, the Wells Fargo Bank building holds little hope for drawing inspiration. But start sketching and it too transforms itself. There are trees of all kinds and colors. A cerulean sky with only a hint of clouds, a pink apartment building and a gold dentist office. Sun, shadows, banners. Not boring! I don’t think I’ve ever felt bored when I was sketching. Years ago a friend told me that when I was sketching I looked like I was roller-skating. Whee! Let’s skate! 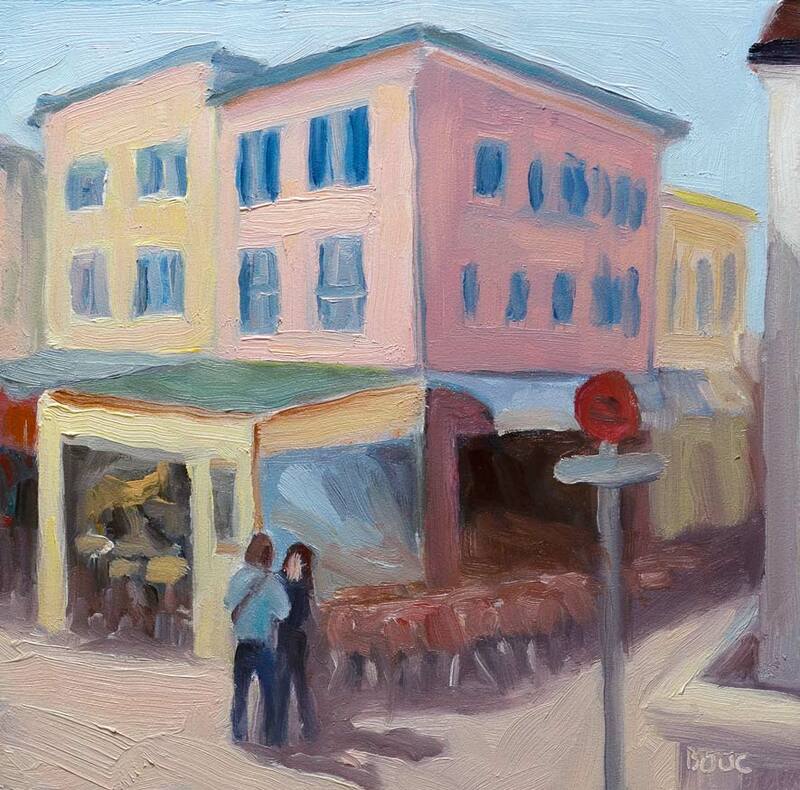 Le Clemenceau, French Riviera, oil on board, 6x6"
Six inches is just too small! I chose a 6×6″ panel for this project because I thought I’d just do something quick for Virtual Paintout and then get on with my “real” painting projects. But I end up putting just as much work into this small painting as I would a big one. When it was “finished” I kept seeing one more little thing to adjust until suddenly it was 7:00 p.m. and it was too late to go to my REAL paintout/sketch group. And I had paint all over my hands because I’d taken off my gloves when I thought I was done an hour before. What’s important is that I had fun and as with every painting, learned something. And I got to spend some time “on” the Cote d’Azur. Wow is that place spectacularly beautiful and loaded with wealth, from what I could see wandering around on Google Streetview. Here is the original scene on Streetview. 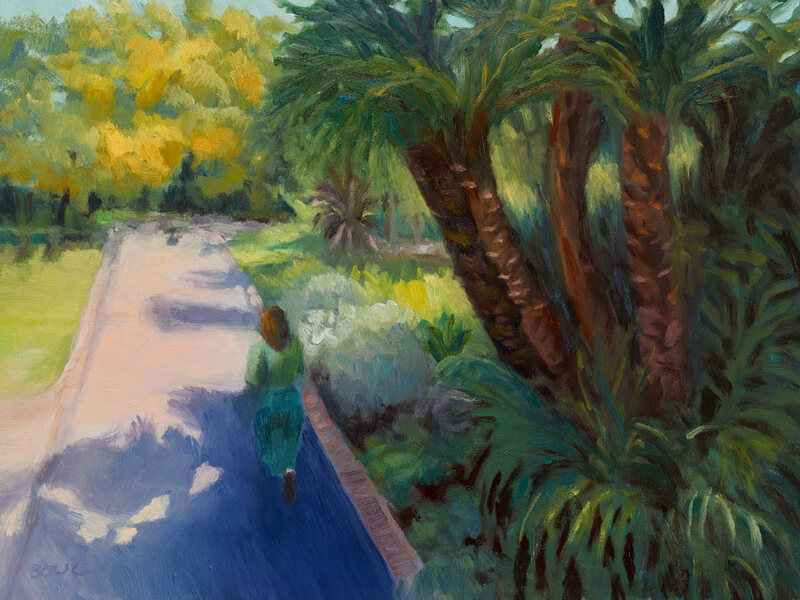 Capetown Company Gardens, South Africa, oil on panel, 9x12"
During a very rainy week it’s been wonderful to have this sunny view to paint from Google Street View for Virtual Paintout‘s March location of Cape Town, South Africa. It will be interesting to see how (and hopefully if) my winter practice with landscape painting in oil carries over to painting real landscapes outdoors. Now that the rainy season seems at last to be over I will soon find out! A note about the color in the photo: despite my best efforts, I couldn’t get the foreground shadow on the path to perfectly match the color in the painting which is a little more purple and a little less bright. If you’re interested in the actual location, just click here for the map. And if you’d like to purchase this painting for $100, just click here. Table Mountain View, Cape Town. Oil on 5x7" panel. 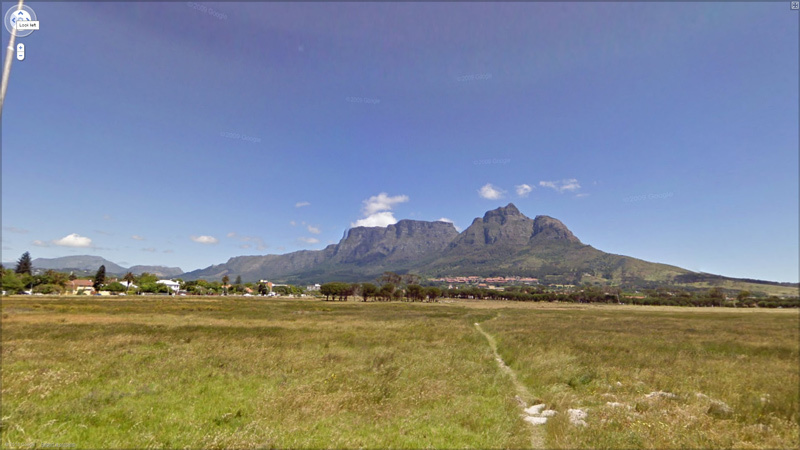 This month’s Virtual Paintout is in Cape Town, South Africa. What a beautiful country! 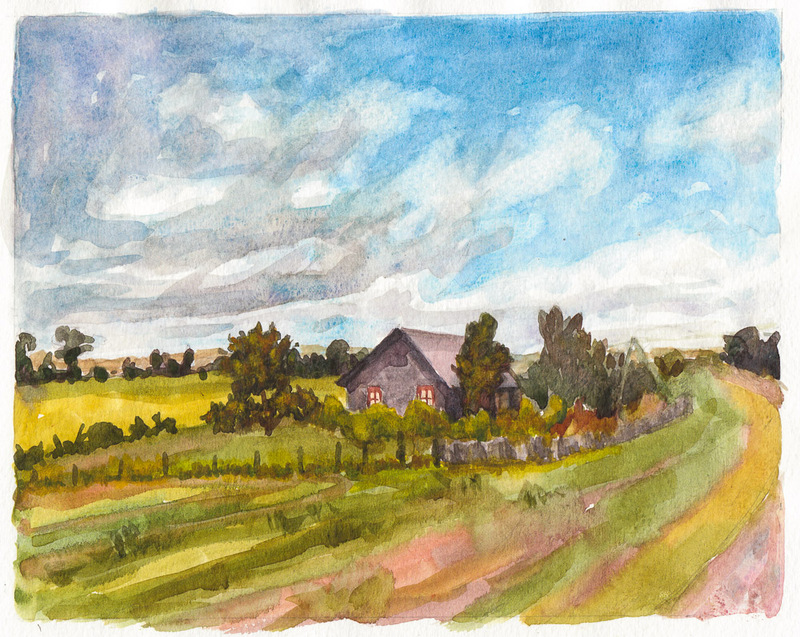 I needed a project I could complete in an hour or two so I chose a simple scene and a small panel to paint on (5×7″). 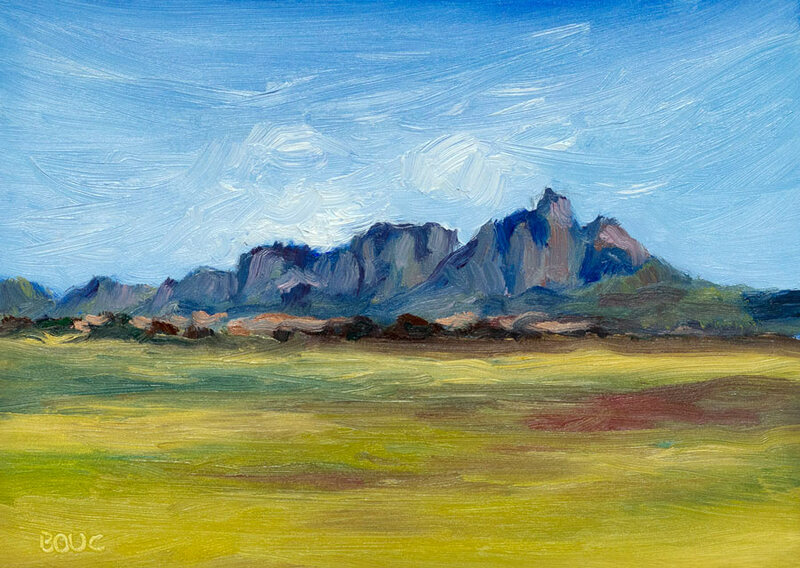 But I think I spent as much time tooling around South Africa on Google Streetview than I did painting. And tonight I had such a hard time getting the color right in the photo (the sky in the painting isn’t turquoise, it’s a warmer blue) that I’ve probably spent an equal amount of time trying to fix the photo and get this blog post finished! So I will let it be. As my boss always says, “…good enough for jazz!” She knows I can be a perfectionist and has taught me that little mantra so that I don’t get stuck finessing one little thing while all the other work stacks up. 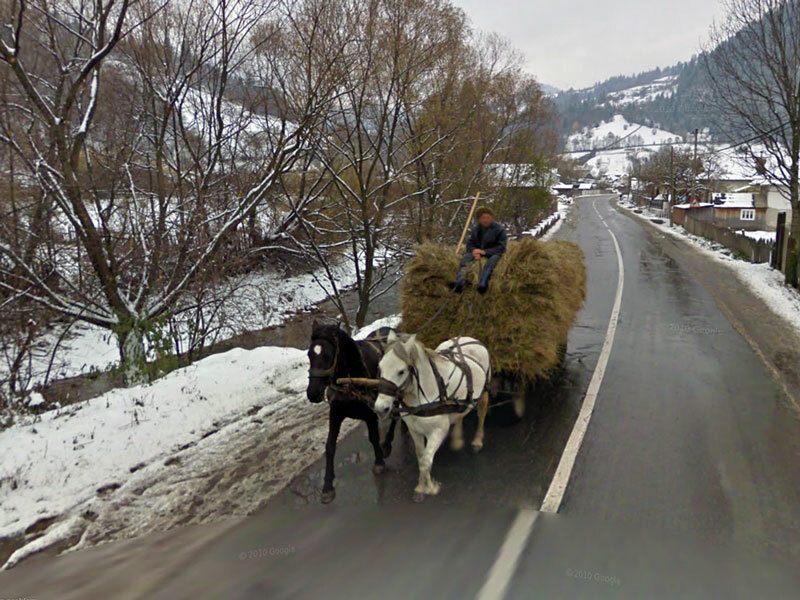 After rambling around Romania, seeing beautiful summery farmland, busy cities, and a shepherd walking his sheep down a village street, suddenly it was Christmas with nativity scenes in front yards and this wonderful snowy hayride (virtually, of course via Google Streetview for the Virtual Paintout). 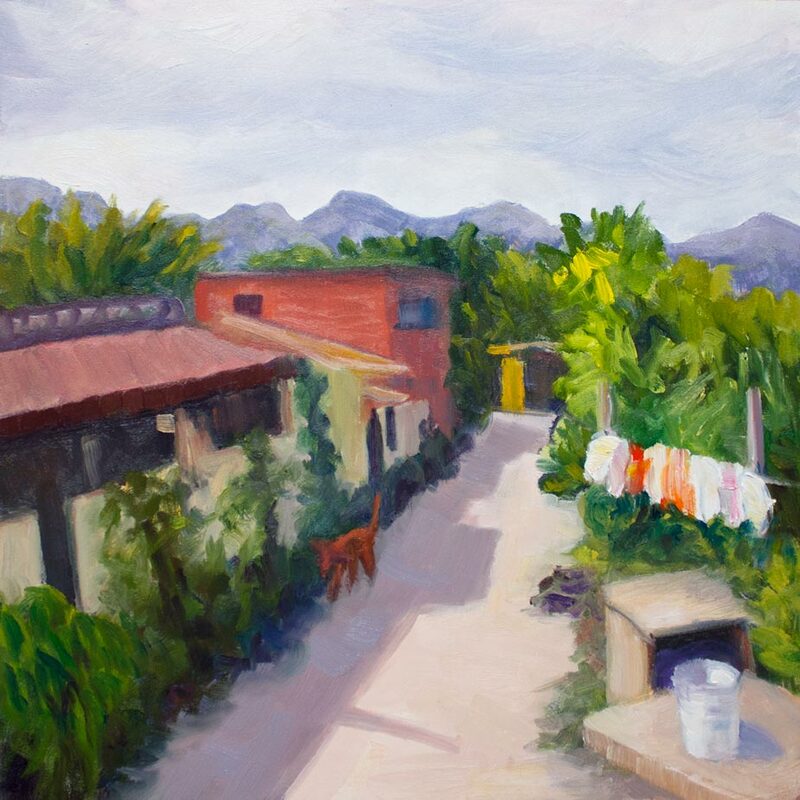 Rio de Janeiro, oil on panel, 8x8"
This month’s Virtual Paint-Out location is Rio de Janeiro, Brazil. 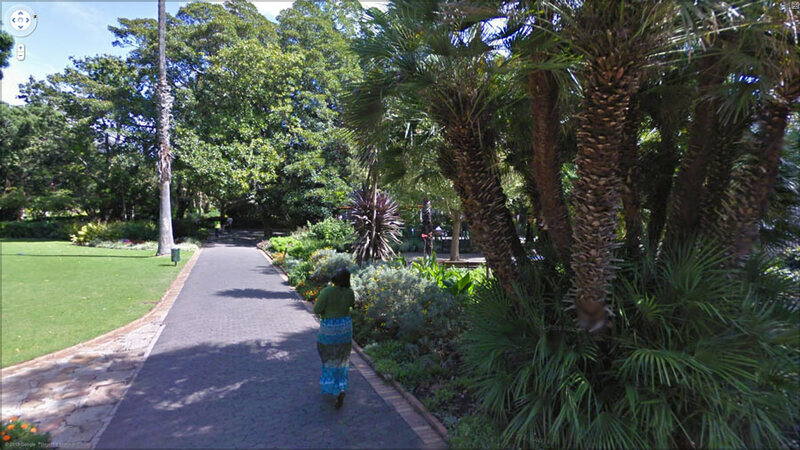 Since I seldom travel I find it so much fun to do so virtually via Google Street View. I love being able to wander, exploring roads to see where they go without fear of getting lost (let alone dealing with airports or spending the money). Here’s the way the scene looked on Google and then the way I cropped and the way I adjusted it in Photoshop. As I do these each month I’ve noticed patterns in the way nicer houses and neighborhoods are near beaches or on top of hills and the poorer neighborhoods are indeed on the wrong side of the tracks. I’ve also noticed a sense of freedom when painting these since I don’t have so much investment in the outcome. And maybe that’s what led to my liking most of my Virtual Paintout paintings more than the ones I’ve labored over.